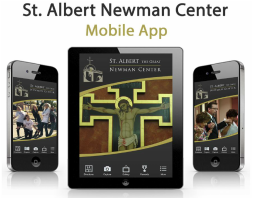 We are excited to announce the release of a new Mobile App for our parish. This app is available for download in the Android and Apple Stores. The app is a new and effective way for the parish to communicate with you and for you to stay connected with the parish. The app is PACKED with prayer resources including Liturgy of the Hours, Daily Mass Readings, the Order of the Mass, Sunday Reading Reflections, the Bible, the Catechism, a digital rosary and on and on. It is also has tons of educational resources, parish events, mass schedules and more. Best of all, we can alert you of extra special happenings and cancellations via the app’s push notifications system. Click here to download the Newman App! The Bible is at the heart of our Faith and our relationship with God. Scripture informs our beliefs and inspires our devotions. It is the place where our Father meets with us and lovingly speaks to us. It is the place where we can understand the life, death and resurrection of Jesus Christ. Reading the Bible should bring us closer to Christ, but understanding it is often difficult. 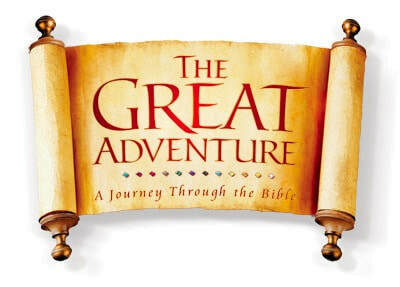 The good news is that we can all understand the Bible, and the Great Adventure Study makes it easy. 2 Session times available on Wednesdays: 1:30 p.m. or 6:30 p.m.